The author deftly guides the reader through various committees, negotiation forums, interest groups, political parties and legal wrangles to uncover the often-surprising developments, alliances and political about-turns in the process of Constitution-making. This is not just politics as the search for power, or the politics of big men … but a thoroughly human affair with its attendant messiness, idealism, complexities and ambiguities. 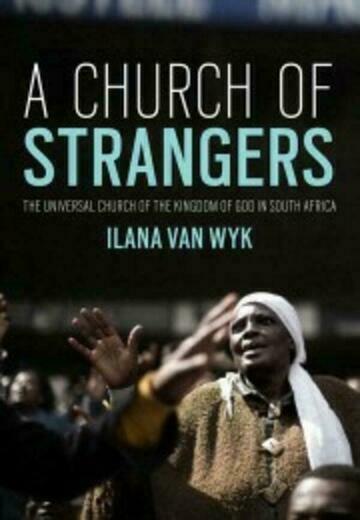 — Ilana van Wyk, author of A Church of Strangers: The Universal Church of the Kingdom of God in South Africa. The Dutch Reformed Church, it was said in apartheid South Africa, was the National Party at prayer, and indeed, given that the Bible was so fundamental to much of the legislation that governed the apartheid state, that apparently satirical description had the ring of truth. ‘Religion in South Africa’s past’, writes Dhammamegha Annie Leatt, has been ‘saturated by politics’ and politics ‘saturated by religion’. So how, she asks, was it possible for a new state to found itself without religious authority? Why did the churches give up so much of their political role in the transition? How can we think about tradition and the customary in relation to secularism? How can we not? In The State of Secularism Leatt guides the reader from a history of global political secularism through an exploration of the roles played by religion and traditional authority in apartheid South Africa to the position of religion in the post-apartheid state. She analyses the negotiations relating to religion in the constitution-making process, arguing that South Africa is both secular in its Constitution and judicial foundations and increasingly non-secular in its embrace of traditional authorities and customary law. In the final chapter Leatt turns her attention to post-apartheid South Africa, examining changing relationships between churches and the ruling African National Congress and the increasing influence of traditional leaders and evangelical Christians in an anti-liberal alliance. This book makes a tremendous contribution to the literature on postcolonial politics on the African continent. It has wonderful insights into the founding of a constitutional democracy in South Africa and will appeal to students in history, politics, sociology, anthropology and constitutional law. • This book makes a significant contribution to available literature on the role of religion and traditional authority in a postcolonial state. • It sheds light on what was at stake in the often painstaking debates in the constitution-making process about the law and the place of religion in the future democratic state of South Africa. • It looks at how traditional leadership and customary law were recognised in the postapartheid dispensation of democratic constitutionalism. • This book will appeal to students in history, politics, sociology and anthropology, and constitutional law. 6 Secular Constitutionalism in South Africa? Dhammamegha Annie Leatt is a research associate at the Wits Institute for Social and Economic Research (WiSER). She is a member of the Triratna Buddhist Order. She currently lives and works in a Buddhist context supporting the teaching of Buddhism and meditation. The State of Secularism is her first book.